Home / About Us / Why Cinema Antiques? Where do our Cinema Antiques come from? We buy antiques and full collections outright, we take trade-ins and we maintain our own museum-quality collection of Cinema Antiques. How are we different from other antique dealers or brokers? Cinema Antiques is the leading antique dealer and resource for Motion Picture (Cinema and Movie) related production equipment antiques (cameras, lights, tripods, etc. ), in the world. Founded in New York City in 1969 as a private collection and growing into the huge Dallas Gallery Collection existing today. We feel it is very important for us to physically have our antiques in our gallery facility so that we may represent them accurately to a prospective buyer and offer them for inspection and evaluation. We are able to answer questions regarding capabilities, provenance, cosmetic appearance, rarity, physical dimensions and correctness when the equipment sits before us in our gallery. We can normally ship immediately and, because we stock these antiques in our gallery, we don’t have to chase a collector or another dealer to find out if his antique is still for sale. We also have the best guarantee in the business on all antiques sold. Who is running the Gallery? Bill Reiter, President, Curator and Founder of Cinema Antiques, has been a working cameraman and Cinema Antique collector since 1968. He is well known in the film industry, having worked with prominent film equipment companies such as Image Devices, Inc., Panavision and Victor Duncan, Inc.
Bill taught filmmaking at The City University of New York, is the former VP of Image Devices, Inc., is the former cinema equipment sales manager at Panavision and is a member of the Society of Camera Operators (Operating Cameramen). He has over 50 years experience in the motion picture industry, shooting films, treating customers fairly and selling these wonderful collectible artifacts based upon a working knowledge of the equipment. Bill and Cinema Antiques, has a reputation that is well respected throughout this industry. Compare this level of experience and reputation with ANY other antique dealer. It will be very difficult to find anyone else to match our expertise and dedication to the art of filmmaking. Ever since we started Cinema Antiques it has been our goal to be the best at what we do. Toward this end we strive to FOCUS on Cinema, Film, Movie Production and Related Antiques ONLY. We try not to get sidetracked with other types of antiques because we think it weakens us and disperses our energies. We want to give you the best customer experience possible. This is not simply a PR effort, it’s a matter of personal pride. In our many years in this industry, we know the pitfalls of spreading oneself too thin. So you have our commitment that we will continue to specialize in Cinema and related Antiques. We will continue to dedicate our efforts in this one direction and hope you appreciate how we try to keep things IN FOCUS. 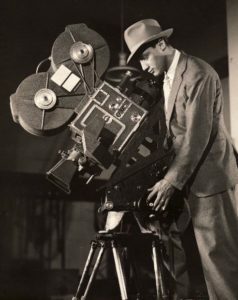 To honor and recognize the glorious equipment history of moviemaking and the Hollywood tradition of filmmaking from the early days of the art form. To give everyone the opportunity to OWN a piece of the “Golden Age of Hollywood”. To keep this classic technology alive as beautiful display pieces, technical art and gorgeous and meaningful sculpture. To offer these rare pieces for display as vintage art and sculpture in your home or office. To design your everyday environment with ‘industrial’ antiques and artifacts that are cool, rad, mean something AND that look uniquely beautiful. To serve as a forum for appreciating and exploring the history of technical cinema creation from the beginnings to the current time. 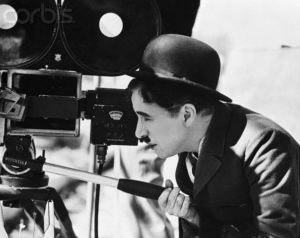 To offer a source of the fast disappearing technologies of classic film production that are becoming true collectible museum pieces, never to be produced again. Come and join us in the appreciation and recognition of these Hollywood artifacts. We are here to put it all into focus for you.